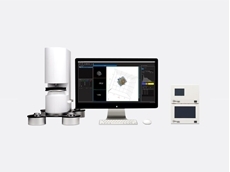 Scitech presents the HT-2 from Tomocube designed to combine both holotomography and 3D fluorescence imaging into one microscope. 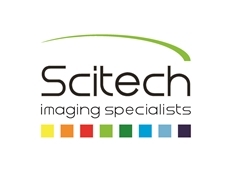 Bitplane’s Imaris imaging software available from Scitech allows visualisation of original and derived data objects in a real time interactive manner to enable the user to quickly make visual assessments of their experiments in 3D and 4D. Offering superior rendering quality, ease of use, speed, precision and interactivity, Imaris imaging software provides a complete set of features and segmentation options for working with 3D and 4D multi-channel images of any size, from a few megabytes to multiple gigabytes in size. 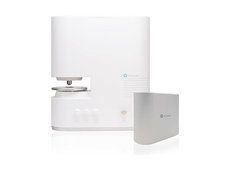 Users can conveniently load, process, identify and visualise data and images acquired from almost any confocal and wide field microscope to gain new and ground-breaking insights. Since its launch in 1993, Imaris has been installed at hundreds of sites throughout Europe, America, and Asia. Imaris has been chosen as the primary tool for image visualisation and analysis by individual investigators, core facility managers as well as operators of their Advanced Imaging Centers. Designed for the life sciences, the Imaris interface takes away the burden of selecting and managing multiple poorly integrated imaging tools and increases time spent on research. Imaris 3D and 4D real-time imaging software comes with nine modules including Imaris, Imaris MeasurementPro, ImarisTrack, ImarisColoc, FilamentTracer, ImarisXt, ImarisCell, ImarisVantage and ImarisBatch. Imaris contains multiple high-class volume rendering algorithms to produce exceptional 3D and 4D images. Key capabilities include MIP (Maximum Intensity Projection), Blend Projection, Real-Time Shadow Rendering, Normal Shading and Display Adjustment. A computer-generated representation of a specified region of interest in the data set, the Surface Object is visualised as an artificial solid object, allowing the user to verify the accuracy of segmentation against the original data in an interactive manner. Surface objects can be generated through Automatic Iso-Surfaces, Automatic Local Contrast Surfaces, Automatic Region Growing, Surface Scissors, Semi-Automatic Surface Generation and Surface Visualisation. The Spot Object is available to model point-like structures in the data. 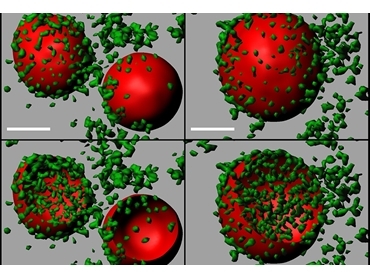 Similar to the Surface Object above, a Creation Wizard guides the user through the step-by-step procedure to automatically detect point-like structures, an editor to manually correct detection errors if necessary, and a viewer to visualise the point-like structures as spheres. A spot object is always spherical but can vary in diameter. Spots can be created automatically or manually. These features include Advanced On-Line Interaction With The Object, which involves rotating, zooming in and out of the object and flying through the volume in real-time, Kinetic Depth Effect, a series of motion animation and depth cueing tools, InMotion function that allows the user to accurately visualise and select data in complex 3D/4D images, Navigation Window, which displays an overview of the data, and Object Filtering to enable the composition of filters consisting of several criteria and interactive visual feedback on parameter selection. Imaris provides smart handling of huge data sets (50GB or more), that exceed the available main memory, allowing for the processing of images where other programs completely fail. In addition to making the most efficient use of RAM memory space, the software supports quick processing, loading, opening and rendering huge images instantaneously and easily. Imaris allows for the simple and straightforward creation of movies from simple rotations to complex animations with objects being turned on and off or cut away and fly-throughs being performed. Capabilities include key frame animation, storyboard generation, pre-defined rotations, sharing results, QuickTime-VR movie recording, and Z-Movie. The speed and performance of Imaris are enhanced through the use of advanced computer graphics and multiple processors/cores. A top-of-the-line computer graphics card allows visualisation tasks to be completed at a much faster rate, which can be especially convenient for larger datasets. Utilising multiple processors or multi-core processors can significantly speed calculation times. Capabilities include Multithreading, High Resolution Rendering, Hardware Driven Computation, Selective Clipping Planes, Multiple Light Sources, and 3D Holographic Rendering Modes. Imaris provides the necessary tools to edit datasets manually and effortlessly. The combination of all these tools will result in a dataset that can provide amazing pictures. Key capabilities include basic editing, re-sampling in space and time, free rotation tool, cropping images in space and time, sub-region processing, volume painter, and image processing tools. For 4D data, a simple to use time-slider extends all 3D functionality to 3D + time (4D). Imaris memory management and caching mechanisms allow processing large datasets and achieving extraordinary visualisation performance. Capabilities include loading time based images from all native file formats as well as TIFF and BMP images, Time-Slider function, and identical interface wherein all visualisation, image processing, display adjustment, segmentation, and object creation steps can be carried out in the exact same manner on 4D images as they are on 3D images. Imaris always displays the correct aspect ratio of all pixels or voxels in an image regardless of the view. Images are automatically calibrated if calibration information is present in the native file format. Alternatively, the user can calibrate the image by simply entering the size of each voxel in the program.